Today we had the pleasure of listening to Professor Amy Fraher. 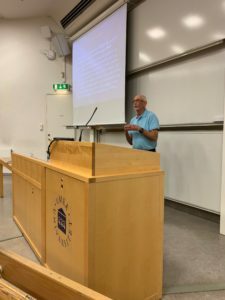 It was a very big and diverse crowd with people from the Swedish Police, the police education, the department of pedagogy and Department of Business Administration, having the opportunity to learn more about how US Navy SEALs achieve reliability seeking mentality through “Mindfulness in Action”. One of the major takeaways of the paper is the finding that “The SEALs” are not “preoccupied with failure” but rather a “positive orientation towards failure”. As a comment to the paper the editor, Peter Bamberger “…beyond exposing new avenues for theorizing on mindfulness and high-reliability organizations, this paper serves as an important landmark in management research, being the first video ethnography to be published in the Academy of Management’s portfolio of journals.” The presentation can be downloaded here; the link to the paper can be found here. 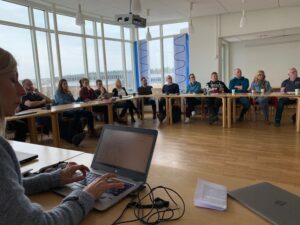 TripleEd has the great pleasure and privilege of having two guests next week; Professor Amy Fraher from Southampton University, UK and Doctor Mika Mård at Åbo Akademi, Finland. We are really looking forward to the conversations! Please find their bios below. Amy Fraher is Professor and Head of Department in Organisational Behavior (OB) and Human Resource Management (HRM) in the Southampton Business School in the UK and lectures at the University of California Davis in the USA. A retired U.S. Navy Commander and Naval Aviator, and former United Airlines pilot, Professor Fraher has over 6,000 mishap-free flight hours in four jet airliners, five military aircraft, and several types of civilian airplanes. A crisis management expert with over thirty years of leadership experience in high-risk fields, she has published widely including the multiple-award winning The Next Crash: How Short-Term Profit Seeking Trumps Airline Safety(2014, Cornell University Press), forthcoming Leading Contemporary Organizations: New Perspectives on Crisis and Change(Cambridge University Press) and best-selling ‘Thinking Through Crisis’: Improving Teamwork and Leadership in High Risk Fields(2011, Cambridge University Press). 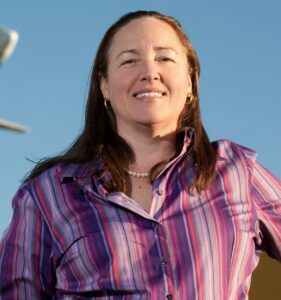 In addition, Fraher’s papers appear in top academic journals such as Academy of Management Discoveries, Human Relations,Journal of Management Studies, Journal of Managerial Psychology, Leadership, Economic and Industrial Democracy, andNew Technology, Work and Employment, and she has been quoted in media outlets such asThe Conversation, Guardian, Washington Post and New York Times. 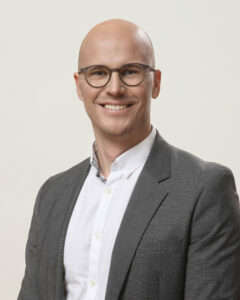 Mika Mård is a university teacher and postdoctoral researcher in Organization and Management at Åbo Akademi University, at the faculty of Economics and Social Sciences. His main research interests include affect theory, emotions in organizations, identity work, and subcultures. In 2018 he defended his PhD thesis where he did an affect-based study on the material economy of boardsports (snowboarding, skateboarding, surfing) in Finland, and is now currently conducting research on experiences of childlessness at work. It is the absolute pleasure of TripleEd to welcome Professor Amy Fraher from Southampton University to us! As part of the visit Professor Fraher will, among other things, give a presentation on “Mindfulness in Action”. The presentation is based on a recently published article in Academy of Management Discoveries. The paper not only use interviews with Navy seals – which is interesting in and by itself, but also publically available videos as sources of data. The interesting methodology notwithstanding, the focus of the presentation is the findings for how to build resilient teams. Please find the abstract below. If you are interested in attending please let Markus (markus.hallgren (at) umu.se ) know since we might need a larger room. This study of US Navy Sea Air and Land (SEAL) commandos contributes to research investigating mindfulness in high-reliability organizations (HROs) by identifying the individual and collective influences that allow SEALs to build capacity for mindful behaviors despite the complexity of their missions, the unpredictability of their operating environments, and the danger inherent in their work. Although the HRO literature identifies a number of hallmarks of reliability, less attention is paid to how mindfulness is operationally achieved in situ by individuals on the frontline working in HROs. This study addresses this gap using a multiphase, multimethod investigation of US Navy SEALs, identifying new links between individual mindfulness attributes (comfort with uncertainty and chaos) and collective mindfulness influences (a positive orientation towards failure) that combine to co-create a phenomenon we call “mindfulness in action.” Mindfulness in action occurs when HROs achieve an attentive yet flexible focus capable of incorporating multiple—sometimes competing—realities to assess alternative solutions and take action in dynamic situations. By providing a more nuanced conceptualization of the links between individual mindfulness attributes and collective mindfulness influences, this paper opens up new avenues of discovery for a wide range of reliability-seeking organizations. For supporting media please see https://vimeo.com/153223681. Yesterday we had the great pleasure to listen to associate professor Andrea Mannberg and her presentation on social aspirations and risk taking in off-pist skiing. Andrea is an economist that have worked on different variations of risk behaviors. With a quantitive approach she provided a very refreshing perspective on the actions of people involved in what can easily become an extreme context. 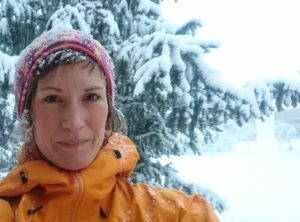 Andrea Mannberg is an associate professor in Economics at the School of Business and Economics and the Center for Avalanche Research and Education (CARE), at UiT- the Arctic University of Norway. She is currently the project leader of a four-year research project, which focuses on motivating factors behind risk-taking behavior in high risk environments. Mannberg acquired her PhD in economics at the School of Business and Economics, at Umeå University. Yesterday we again had the great pleasure of listening to Robert Gephart from the University of Alberta, Canada. This time he presented/had a workshop based on his book chapter “Interpretative Social Science” – reference below. 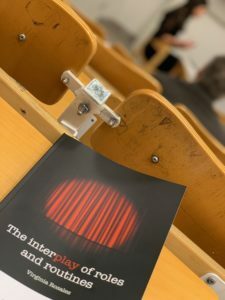 The chapter is not only useful for people interested in qualitative research at large, but also a call for really considering what we are doing, why we are doing it, and how we are doing it. Gephart Jr, R. P. (2017). In Cassell, C., Cunliffe, A. L. & Grandy, G. (Eds. ), The SAGE Handbook of Qualitative Business and Management Research Methods: History and Traditions (pp. 33-53). Los Angeles: Sage. Per and Eivor Wikströms stiftelse gracefully approved our application related to theory and method development in grand challenges associated with extreme contexts. The idea behind the program is to develop an exchange program with scholars in french speaking academic environments. 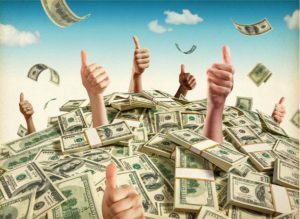 The program is a continuation from the Riksbanken funded exchange program and will run during 2019. 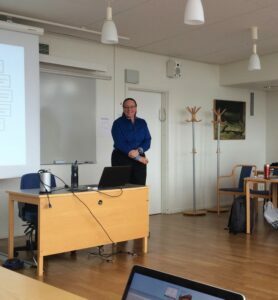 Today we had the great pleasure to listen to Professor Robert Gephart giving a presentation on “Narrative resistance: Temporal work, risk sensemaking, and institutional legitimation” The paper is co-authored with Marc Bonnet and Roy Suddaby. The paper is really interesting, developing theory on the difficulties of resistance and how resistance bring about oppression by institutional entities set in place to protect citizens. This Friday Virginia Rosales went from a promising doctoral student to a promising Ph.D. After a successful defense of her dissertation titled “The interplay of roles and routines: Situating, patterning, and performances in the emergency department” she can now call herself a “doctor”! TripleEd´s members are of course extremely proud and happy for her! Next step is to continue her work at HEC Montreal. 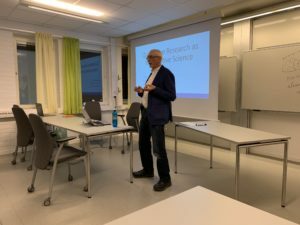 We, TripleEd and the research profile “Leadership, Organization and Working life” @ the Department of Pedagogy, are excited to welcome Professor Robert Gephart from University of Alberta to Umeå. Professor Gephart is an extremely well-known professor in the broad field of organization studies, with a particular interest in crises and qualitative methods. You find his biography below. We really hope that you take the opportunity to attend the two events. There will be one seminar and one workshop. Please see information below. Bio: Robert P. Gephart is Professor of Business at the University of Alberta and Chercheur associé at Institut de socio-économie des entreprises et des organizations, Magellan, IAE Lyon, Université Jean Moulin. 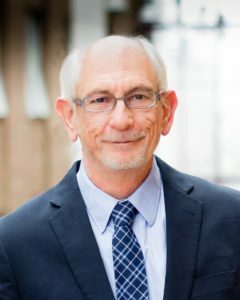 Dr. Gephart is an internationally recognized scholar whose research has contributed important advances in qualitative research methods for the social and management sciences. His substantive research has also provided important insights into the management of organizational risks, crises and emergencies. Dr. Gephart served for over 10 years as Associate Editor of the Organization Research Methods journal. He has published in a number of highly visible journals including the Academy of Management Journal, Administrative Science Quarterly, Journal of Management Organization Studies, and Organizational Research Methods. Dr. Gephart is the author of Ethnostatistics: Qualitative foundations for qualitative research (Sage, 1988), co-editor of Postmodern Management and Organization Theory (Sage, 1996, with D. Boje and T. Thatchenkery) and lead editor of The Routledge Companion to Risk, Crisis and Emergency Management (2019 with C. C. Miller and K. Svedberg Helgesson). Dr. Gephart received the 2015 Sage/Research Methods Division Career Achievement Award from the Academy of Management for his contributions to organizational research methods and launching the field of ethnostatistics.